The number of terrorist acts in settled districts of Pakistan has taken a nose dive in the last few months. It appears that an ongoing military operation (Operation Zarb-e-Azb) has taken its toll on terrorists based primarily in North Waziristan and more generally in the whole of the tribal areas of Pakistan. The operation may have an impact on the diminishing number of terrorist acts, but the real reason seems to be the split of Tehrik-e-Taliban Pakistan (TTP) into two major factions. The emergence of Jamaat ul-Ahrar is the latest development in the factional infighting inside the TTP. Key TTP commanders who have joined hands with Jamaat ul-Ahrar and become part of its shura (consultative council) are Qari Shakil Haqqani from Charsadda, Maulana Yasin from Swat, Mufti Mishbah from Peshawar districts of Khyber-Pakhtunkhawa province, Qari Ismail from Khyber district, Maulana Abdullah from Bajaur district, and Maulana Haider and Mansoor Nazim from the Orakzai district of the Federally Administered Tribal Areas (FATA) (Dawn [Karachi], August 26, 2014). The split was overdue as key commanders had developed major differences over getting control of the tribal districts. Fierce clashes erupted between militants loyal to Khalid Mehsud (a.k.a. Sajna) and Sheryar Mehsud over control of South Waziristan. TTP Amir Maulana Fazlullah was impatient to prove his iron grip over the TTP and immediately sacked Khalid Mehsud before appointing Khalid Haqqani as the new commander of South Waziristan district. The TTP shura refused to endorse Fazlullah’s decision, leading to fragmentation (The News [Islamabad], May 29, 2014). In fact, the TTP started to fragment right after the death of its former Emir, Hakimullah Mehsud, in a drone attack in South Waziristan last December. 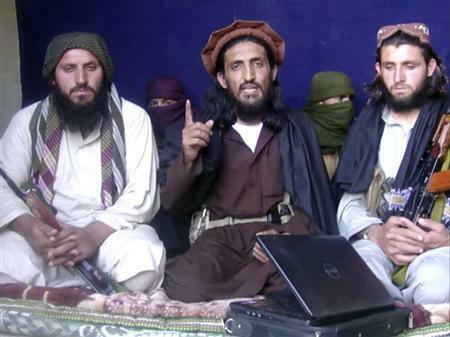 The TTP’s supreme shura council met several times to decide on a new Emir. Shura members reluctantly agreed on the name of Fazlullah, the notorious head of the TTP-affiliated Tehrik-e-Nizam Shariat-e-Mohammadi. Supreme leader of the Afghan Taliban Mullah Omar is believed to have put his weight behind Fazlullah, leading to his selection as the new Emir of the TTP. Unlike previous TTP Emirs (namely Baitullah Mehsud and Hakimullah Mehsud), Fazlullah belongs to the Mingora district of Pakistan’s Khyber-Pakhtunkhawa province. Since the TTP is an agglomerate of 27 to 40 Taliban groups based in the tribal areas of Pakistan and the Emir is traditionally from the tribal areas, the selection of Fazlullah became a bone of contention from the very beginning among other group leaders vying for the slot. The TTP was founded by Mehsudi tribesmen in August 2007 with Baitullah Mehsud as its first Emir. As the TTP is still Mehsud and Wazir dominated, it was difficult for both Mehsud and Wazir tribesmen to appoint a non-Mehsud and non-Wazir Emir who is not even from the tribal areas. It was more or less like a non-Arab commanding al-Qaeda Central. Another important issue surfaced with the formation of Jamaat ul-Ahrar by the TTP commander of Mohmand district, Omar Khalid Khorasani (a.k.a. Abdul Wali). Khorasani belongs to the Safi tribe of Mohmand district. During his long tenure as TTP commander of the district and in the absence of a strong TTP Emir in Waziristan, Khorasani announced his own faction, Jamaat ul-Ahrar, in September 2014. Khorasani accused Fazlullah and his allied commanders of deviating from the TTP ideology. Fazlullah, who was in Afghanistan and missed the shura council’s meetings, slammed Khorasani’s decision and called him a traitor and deviator. He said Khorasani was “conspiring against the Emirates of Afghanistan Emir Mullah Muhammad Omar, and [had] links to shadowy militant organizations.” All Taliban groups in Pakistan and Afghanistan regard Mullah Omar as the ceremonial head of the Taliban and pledge allegiance to his authority, though virtually all act independently (Dawn [Karachi], September 7, 2014). Khorasani managed to lure both the newly emerged Punjabi Taliban branch Ahara ul-Hind, involved in the Islamabad Court Complex attack in June 2014 and led by Qasim Khorasani, and Junad-e-Hafza, another shadowy organization based in Punjab. Ahrar ul-Hind has now merged with Jamaat ul-Ahrar (Newsweek Pakistan, September 2014). The split has had a major impact on the conduct of terrorist operations in settled districts of Pakistan. TTP commanders in Khyber-Pakhtunkhawa province, Punjab province and the southern port city of Karachi have had to decide whether to side with the TTP Fazlullah faction or with the Khorasani-led Jamaat ul-Ahrar. From the very beginning, when the Islamic State did not exist, we are helping and supporting the Mujahideen of Iraq and Syria. Our group [TTP] had sent between 1,000 and 1,500 fighters to the (Middle Eastern) region so far. We are with you in these hard times and will help you as much as possible. We advise you to be patient and determined at such a hard time and stay united, as your enemies stand united against you (The News, October 6, 2014). Apart from this development, the TTP has distributed pamphlets and did wall chalking in Peshawar, the capital of Khyber-Pakhtunkhawa province, leaving messages encouraging Muslims to join hands with Abu Bakr al-Baghdadi and the Islamic State. The wall chalking and pamphlets are clear efforts to gear up support for the Islamic State in Pakistan, where an on-going Islamist insurgency could provide thousands of potential recruits for Islamic State’s endeavors in Syria and Iraq. According to Pakistani terrorism analyst Amir Mir: “The rise and success of the Islamic State could play an inspirational role in Pakistan where 100-plus al-Qaeda and Taliban-linked Jihadi groups are currently operating” (The News, October 6, 2014). The Mohmand TTP, which has traditionally been headed by Omar Khalid Khorasani, is one of the strongest of the TTP-affiliated groups based in tribal areas. During his rise to power in Mohmand district, Khorasani had to face the Shah Khalid group, a formidable enemy whom he successfully defeated after fierce battles in 2008. Afterwards Khorasani became the undisputed warlord of Mohmand district. Khorasani managed to hold back successive military operations against his group in 2010. Operation Brekhna (Thunder) was launched by the Pakistani Army and Frontier Corp to flush out Khorasni’s group in Mohmand. Khorasani, aided by his right hand Qari Shakeel, successfully held back the military onslaught and at a later stage took refuge in Afghanistan, salvaging his forces. The Khorsani forces regained all control after the withdrawal of the military from tactical strongholds. In one brutal assault, the Khorasani-led militants kidnapped and beheaded 23 personnel of the Frontier Corps in 2010. Khorasani was also the first of Pakistan’s jihadists to denounce the Lal Masjid operation (Red Mosque military operation in 2007, a.k.a. Operation Silence) and vowed to take revenge. The Khorasani faction has spread tentacles in settled districts as far as Karachi. The most recent terrorist attack launched in January by Khorasani-affiliated militants in Karachi was the assassination of Superintendent of Police Mohammad Aslam Khan in a suicide bombing. Several earlier attempts on the life of Khan by other Taliban factions were unsuccessful, including one that completely destroyed his house and resulted in the death of six police officers. Khan was known for his anti-TTP stance and conducted scores of operations against TTP strongholds in peripheral areas of Karachi in the last five years. At least 40 TTP leaders and rank and file were killed in Khan-led operations in Karachi. Now heading his own faction, Khorasani will attempt to appeal to more TTP factions based in Karachi’s Pashtun-dominated suburbs, as the cosmopolitan city offers more opportunities for extortion from traders and businessmen than the tribal areas and other parts of Pakistan. Khorasani also has a base in Islamabad’s slums, where many of the militants relocated during military operations in 2010. The Khan-koh suburb of Islamabad is now home to hundreds of TTP militants involved in extortion and kidnappings in Islamabad and the neighboring Rawalpindi district. With the announcement of the Islamic State in areas the militant Islamist group has carved out of the war-torn Iraq and Syrian states, the jihadi global perspective is about to shift to a new paradigm. The surfacing of Jamaat ul-Ahrar from the TTP’s wings showcases the change of course by Pakistani Islamist militants. Al-Qaeda, which used to define the course of action for Pakistani militant groups, now appears to be losing ground to the Islamic State. Al-Qaeda ideologues now have to compete with their own splinter group (IS, formerly al-Qaeda in Iraq) in obtaining the confidence of Islamist groups in Pakistan. It seems that al-Qaeda is already on course to accept the Islamic State’s challenge. The establishment of a new al-Qaeda branch, al-Qaeda in the Indian Subcontinent, is one step in reasserting the group’s desire to dominate the Pakistani jihad scene. Jamaat ul-Ahrar, composed of seasoned jihadis like Omar Khalid Khorasani, would definitely weigh their options before joining hands with al-Qaeda or the Islamic State. At the moment, the possibility of joining the Islamic State appears to be less significant as al-Qaeda already has a developed network in Pakistan. Joining the Islamic State would provide more coverage in terms of media attention; on the other hand al-Qaeda will have to reinvigorate itself for staying on course. Farhan Zahid earned his Ph.D. in Counter Terrorism Studies from the University of Brussels, Belgium. Dr. Zahid has authored more than 20 research papers and articles. He writes on counter-terrorism, al-Qaeda, Pakistani al- Qaeda-linked groups, Islamist violent non-state actors in Pakistan, jihadi Ideologies and the Afghan Taliban. The preceding is a guest contribution to Aberfoyle International Security (AIS) and does not necessarily reflect the views or opinions of AIS. The rise of the Islamic State (former ISIS) and its establishment of a self-proclaimed Caliphate) not only shocked terrorism and security analysts but also the Islamic State’s parent organization – al-Qaeda. Dr. Ayman al- Zawahiri, the current Amir of al-Qaeda, must have serious concerns about the arrival of a new competitor in the arena of global jihad, once considered synonymous with al-Qaeda. There is no doubt that with experience, global reach, affiliated groups and associated movements in more than 60 countries, al-Qaeda is going to be in the jihadi business for a long time, whereas the Islamic State may not survive long. Whatever the course of events, al- Zawahiri is currently in a fix. Thousands of al-Qaeda sympathizers across the globe have expectations that their Amir will compete with the so-called Islamic State with new strategies and tactics. Al-Zawahiri would obviously not like to be seen as meek. It appears that in this dog-eat-dog situation, al-Zawahiri is set to compete with the Islamic State to preserve al-Qaeda’s status in the world of jihad. Al-Zawahiri selected Maulana Asim Umar as the Amir of AQIS. Umar is a known jihadi ideologue and propagandist as well as an active figure amongst jihadi forces in Pakistan. His selection by al- Zawahiri from the available lot of senior jihadi is by no means a coincidence. Umar has worked with almost all jihadi organizations of Pakistan and he may help al-Qaeda Core to strengthen ties and possibly merge with these organizations. The immense number of jihadis in Pakistan and the number of attacks over the last 12 years prove the point that Pakistan’s huge youth bulge may provide a pool of new recruits to al-Qaeda. Umar’s connections with Pakistani sectarian outfits and Islamist Kashmiri jihadi organizations would be an asset for al-Qaeda’s expansion in Pakistan and India. According to unconfirmed sources, Umar hails from the southern Pakistani metropolis of Karachi, a city distinguished by its relatively secular and modern atmosphere in comparison with other Pakistani urban centers. Umar studied at the Jamia Uloom-ul-Islamia madrassa in Karachi, a seminary notorious for producing jihadis. Mufti Nizam Uddin Shamzai, the slain former principal of the seminary, had been a staunch supporter and mentor of the Afghan Taliban regime. Shamzai also patronized Pakistani jihadi organizations Harkat ul-Jihad-e-Islami (HuJI), Hakat-ul-Mujahideen (HuM), Jaysh-e-Mohammad (JeM), and sectarian jihadi organizations like Sipha-e-Sahaba (SeS) and Lashkar-e-Jhangvi (LeJ) (Express Tribune [ Karachi], February 12, 2011). Shamzai was shot dead in front of his own madrassa in May 2004 by unknown assailants. Shamzai declared jihad against the United States and its allies in Afghanistan in 2001. Upon proclamation of his fatwa, thousands rushed to Afghanistan to fight alongside the Taliban and al-Qaeda during the U.S. invasion in October 2001. When the Pakistani military regime sided with the United States at the beginning of Global War on Terrorism (GWOT), Shamzai issued another fatwa, this time against the Pakistan Army (Daily Times [Lahore], May 31, 2004). Umar also studied at Darul Uloom Haqannia madrassa, located in the Khyber Pakhtunkhwa province of Pakistan. The seminar y has a reputation as a jihad factory because of its decades- old practice of sending students to Afghanistan to fight against Russian and later American forces. With more than 10,000 students, the madrassa is headed by Sami ul-Haq, leader of the Deobandist Jamiat-e-Ulea Islam political part. Umar, the newly appointed Amir of AQIS, has written a number of conspiracy theory books. Umar writes in Urdu, the national language of Pakistan. His favorite topic is Dajjal (the Islamic equivalent of the Anti-Christ). Despite being part of Pakistan’s jihadist network, Umar focuses on cosmic and Manichean issues like second coming of the Nabi Issa (the Prophet Jesus), the appearance of the Mahdi, Armageddon, and Dajjal. Umar connects these upcoming scenarios with current events like the U.S. invasion of Afghanistan, the activities of private security contractor Blackwater/Xe (known since 2011 as Academie) and the Bermuda Triangle. Al-Qaeda Amir Ayman al- Zawahiri is ready to compete with the Islamic State. In a country like Pakistan where a range of jihadis is available, hoping to recruit and revive many of the dormant jihadi groups under the banner of AQIS. Elevating Asim Umar to Amir of AQIS is a tactical move; Umar’s experience of working with jihadi organizations will enable him to widen the al-Qaeda network in Pakistan and India. 3. Asim Umar, Dajjal Ka Lashkar: Black Water, Jamia Hafsa Urdu Forum, Islamabad, 2009. 4. Asim Umar, Teesri Jang -e- Azeem Aur Dajjal , Al-Ghazi Welfare Trust, Bagh, Azad Kashmir, October 2006. 5. Asim Umar, Imam Mehdi ke Doost aur Dushman, Al-Hajira Publications, Karachi, May 2009. 6. Asim Umar, Bermuda Tikon aur Dajjal, Al-Hajira Publications, Karachi, 2009. 7. Interview with a local journalist in Islamabad who requested anonymity, September 10, 2014. 9. As-Sahab Media video: War Should Continue, Message to Muslims of Kashmir, Shamikh, June 16, 2014. Pakistan’s military has spent months trying to convince their civilian masters of the necessity of mounting a large military offensive in the lightly-ruled North Waziristan tribal agency, currently a hotbed for Islamist extremists and foreign fighters. The objections of the political class were finally overcome following the June 8 terrorist attack on Karachi’s Jinnah International Airport, a devastating demonstration of strength by the militants and a further display of the inability of local security forces to contain extremist groups and the futility of continuing peace talks with the Tehrik-e Taliban Pakistan (TTP). On June 15, Pakistan’s military launched Operation Zarb-e Azb (“the cutting strike”), a massive offensive designed to clear North Waziristan of militants and extremists. The name of the operation appears to be part of an effort to lend a sense of Islamic legitimacy to the offensive – Azb was the name of the sword carried in battle by the Prophet Muhammad. Pakistani forces were also armed with a religious decision signed by over 100 clerics from various Islamic trends that declared their operations a jihad with the right to use on iron fist on extremists guilty of hundreds of murders (Hindustan Times, June 24). The operation began with F-16 airstrikes that killed a claimed 105 militants, including the alleged planner of the Jinnah Airport attack, Uzbek commander Abu Abdur Rahman Almani (Dawn [Karachi], June 15). American CIA drone strikes have also targeted militants in the region, though these are not officially part of the government’s offensive. Despite the apparent tacit approval of Islamabad and the unlikelihood that American drone operations inside North Waziristan would be mounted independent of Pakistani authorities during a military operation in the region, Pakistan has still condemned recent drone strikes in North Waziristan as a violation of Pakistan’s sovereignty and territorial integrity (The Nation [Islamabad], June 14; June 19). According to the top U.S. military commander in Afghanistan, Marine General Joseph Dunford, U.S. forces inside Afghanistan were not coordinating with the Pakistani offensive but were ready to intercept militants looking to wait out the operation inside Afghan territory (AP, June 17). The U.S. drawdown in Afghanistan is seen as a major factor in motivating Pakistani authorities to take the offensive in North Waziristan before the Afghan Taliban are able to consolidate their control of the border region in cooperation with local militants. Some 450,000 residents of North Waziristan have fled the offensive so far, taking advantage of a break in the campaign to allow their evacuation to Bannu, Peshawar, Kohat and, ironically, across the border in Afghanistan (Dawn [Karachi], June 22). The success of Pakistani military operations in North Waziristan depends to a great extent on the willingness of Afghan president Hamid Karzai to seal the border, though appeals from Islamabad have yet to receive a positive response from Kabul. Karzai, who alleges the terrorist problem in his country has a Pakistani origin, is apparently seeking a commitment from Islamabad that the offensive will be part of a major operation to shut down cross-border militant groups such as the Haqqani Network that have operated with the connivance of Pakistan’s military intelligence service (News on Sunday [Islamabad], June 22). Targeting the Haqqani Network is also a condition of further U.S. military assistance (The News [Islamabad], June 13). Whether Afghan security forces actually have the ability to effectively seal the border remains an open question. Without the full cooperation of Afghan forces, some militants are believed to have already slipped across the border into Paktika and Khost provinces, while others may have scattered into the remote wilderness of North Waziristan’s Shawal Valley (News on Sunday [Islamabad], June 22). Afghanistan’s ambassador to India, Shaida Muhammad Abdali, recently observed that Pakistani authorities had not succeeded in their battle against extremism “because they are fighting those they don’t like, but not those whom they like” (The Hindu, June 24). The offensive has encountered a generally favorable popular attitude from a populace grown tired of terrorist strikes, particularly after the Karachi Airport attack. Opposition criticism has been muted since the operation began. First-hand accounts of the fighting are hard to find, however, as the campaign is being tightly managed by the public relations arm of the Inter-Services Intelligence ISI) unit. All journalists were ordered to leave North Waziristan on the first day of the offensive and nearly all accounts of the fighting since have originated with the military. Cell phone service has been cut off in the agency and internet service is practically non-existent (News on Sunday [Islamabad], June 22). Pakistani tactics have included integrated operations involving Cobra helicopter gunships, snipers and artillery, deployments along the Afghan border to prevent militants from escaping, securing the boundaries of urban centers like Miranshah and Mirali, processing refugees through filtration points to weed out fugitive militants and the establishment of “surrender points” to encourage militants to lay down their arms without fear of immediate retribution. The Army’s offensive reflects a shift in strategic thinking in the Pakistani military under the new leadership of Chief-of-Staff General Raheel Sharif, who has emphasized the danger of Islamist militancy in the tribal agencies over the traditional attempts by the Pakistani military to co-opt such groups in the interest of maintaining “strategic depth” in the event of a major conflict with India (Express Tribune [Karachi], June 24). While the political leadership in Islamabad has reluctantly agreed to the necessity of a major military operation in the tribal region, it continues to fear a major backlash from terrorist cells based in Pakistan’s poorly secured urban centers. Creating a local administration capable of maintaining order and security in North Waziristan after the conclusion of active operations will also pose a major challenge to Islamabad. This article was first published in the June 26, 2014 issue of the Jamestown Foundation’s Terrorism Monitor. Following a series of high-level meetings between American and Pakistani security and military figures related to the operations of the notorious Haqqani Network in the Afghanistan-Pakistan border region, the leadership of the Taliban’s Islamic Emirate of Afghanistan has released a statement denouncing what it perceives as an American attempt to detach the Haqqani Network from the Taliban command in the interests of creating divisions within the movement. The statement is also critical of American suggestions that the Haqqani Network has close ties to Pakistan’s Inter-Services Intelligence (ISI), the latter agency long suspected of having close ties to the Taliban and various other Islamist militant groups active in Kashmir and in the tribal agencies of Pakistan’s northwest frontier. The Taliban consider this an attempt to “attribute the decisive and staggering attacks by Mujahideen of Islamic Emirate to the neighboring country of Pakistan” (ansar1.info, September 27).